Screenshot via Google MapsA view of Rodeo Road in Los Angeles, CA — soon to be named Obama Boulevard. In February 2007, Barack Obama – then an Illinois senator and a longshot candidate for president – took his campaign to Los Angeles for the first time. Obama held a rally at Rancho Cienega Park, between Rodeo Road and Exposition Boulevard, about four miles west of the University of Southern California, in a largely African-American neighbourhood. The Los Angeles City Council voted on Tuesday night to rename the 3 1/2-mile stretch of Rodeo Road to Obama Boulevard. “We’re thrilled that Angelenos and visitors will forever be reminded of the legacy of President Barack Obama when travelling across L.A., the city’s mayor, Eric Garcetti wrote on Twitter. Rodeo Road, a three-and-a-half-mile stretch of pavement in Los Angeles, will be renamed Obama Boulevard, in honour of the former President Barack Obama. The Los Angeles City Council voted in favour of the change Tuesday night. 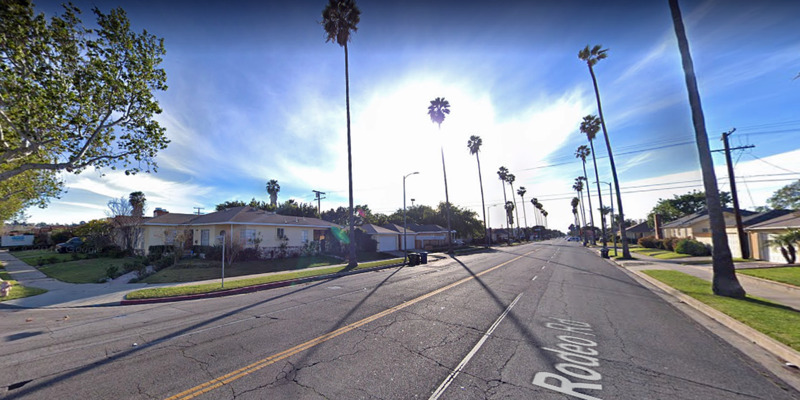 In February 2007, Obama held a rally at Rancho Cienega Park, between Rodeo Road and Exposition Boulevard, about four miles west of the University of Southern California, in a largely African-American neighbourhood. It was his first visit to Los Angeles as a presidential candidate, happening just over a week after he formally announced his first run for the White House. LA City Council president Herb Wesson first proposed the name change in June 2017. Rodeo Road is not to be confused with Rodeo Drive, the iconic street that runs through a high-end retail district in Beverly Hills. Mayor Eric Garcetti, who has recently stirred rumours he may seek the White House in 2020, applauded the city council’s vote. “We’re thrilled that Angelenos and visitors will forever be reminded of the legacy of President Barack Obama when travelling across L.A., the city’s mayor, Eric Garcetti wrote on Twitter. The Los Angeles Times notes that multiple schools in California already bear Obama’s name, and he has another street, Obama Way, named after him in the Northern California beach town of Seaside. A stretch of the 134 Freeway is also set to be named after the 44th president.